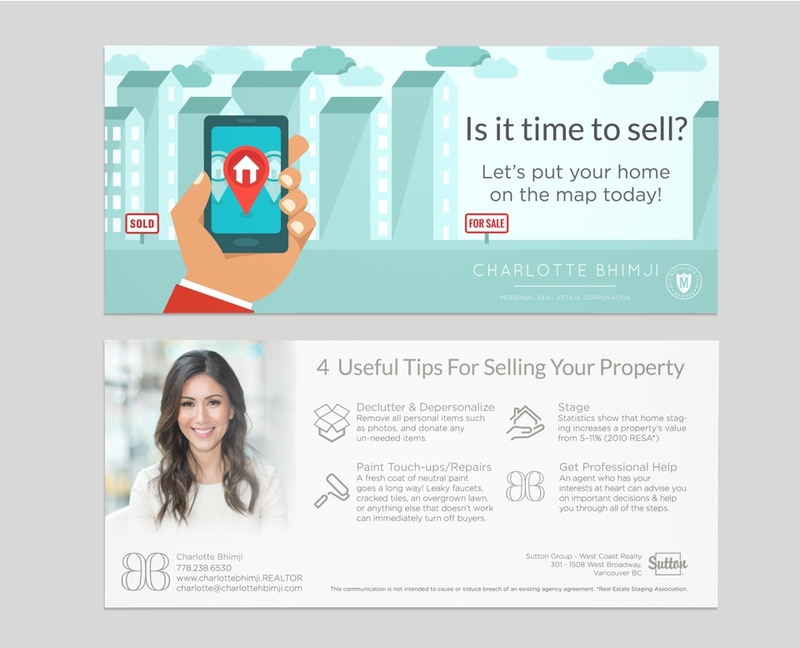 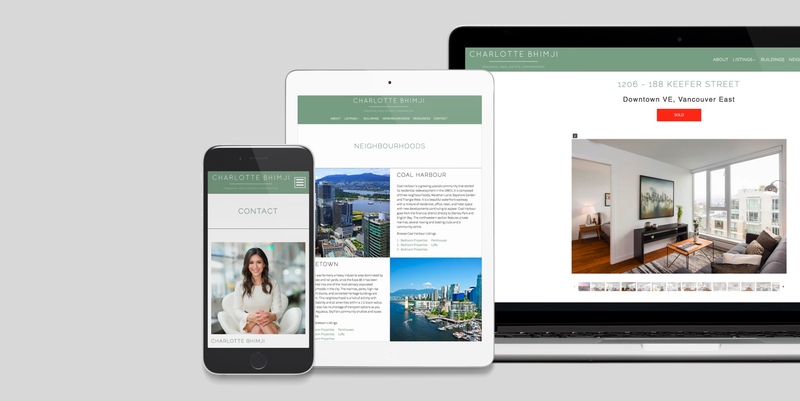 Type Art Branding, Realtor® Website and Development on a mobile-responsive framework, essential stationery and marketing material for both digital & print. 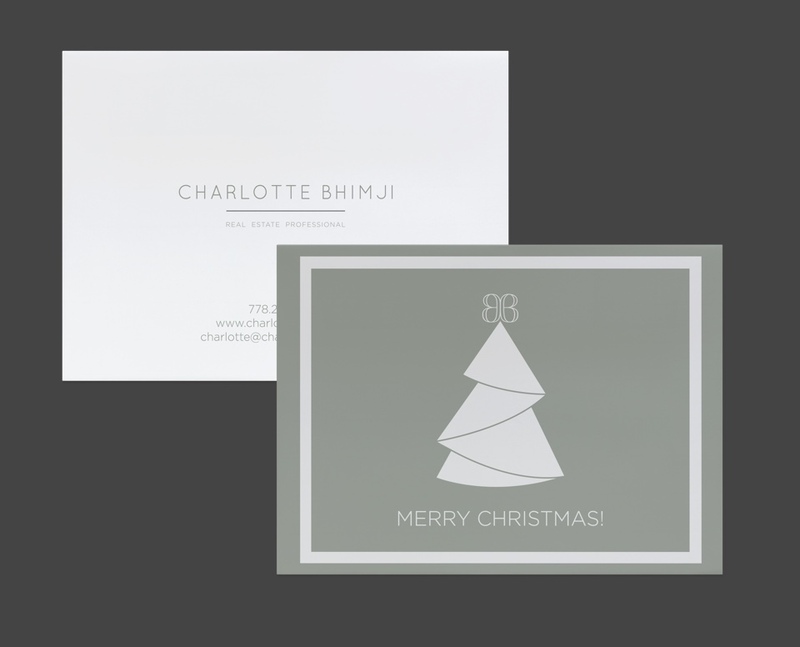 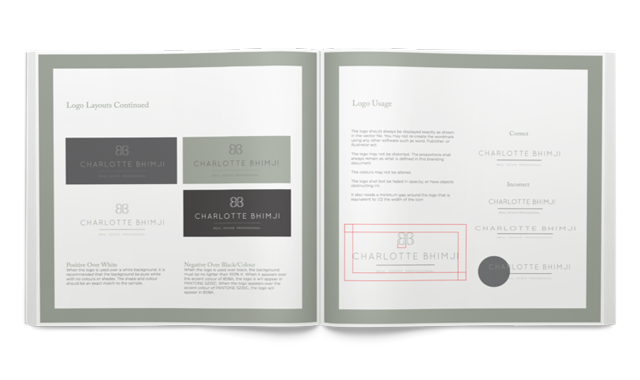 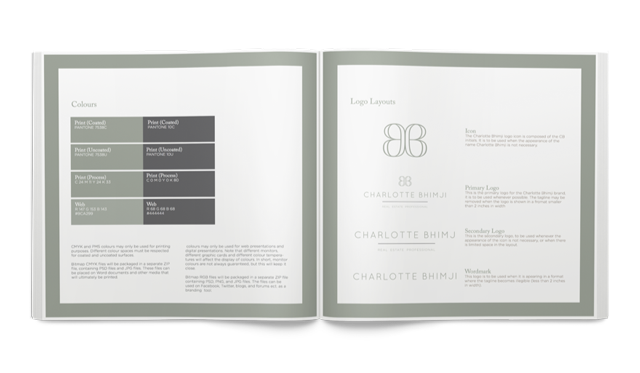 Bringing a sense of elegance, combining with modern simplicity – finished off with the unique colour scheme, Charlotte’s branding was a project where we could literally feel her personality shine through the screen! 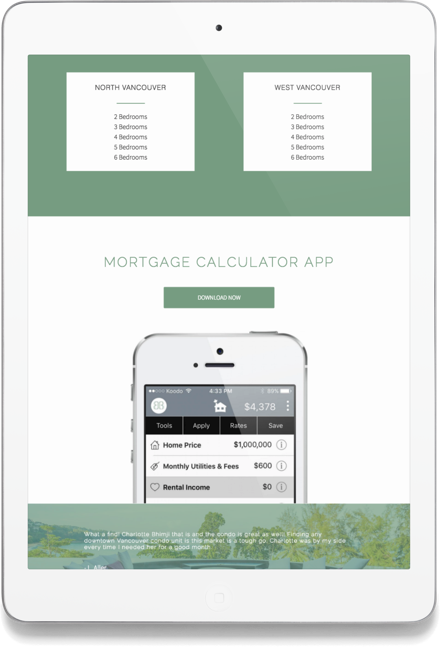 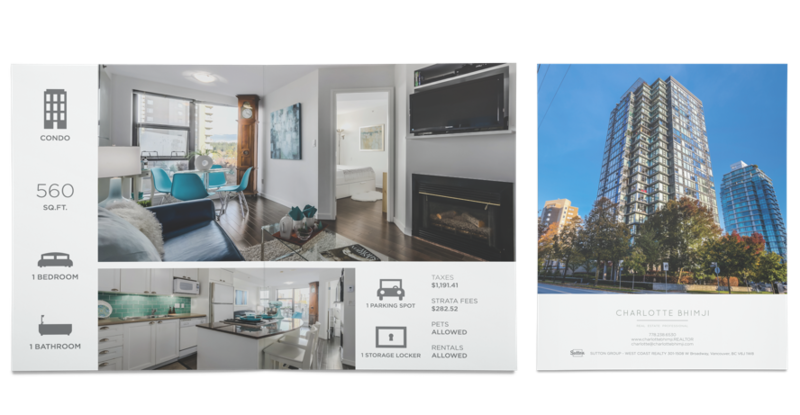 Clean & simple lines, the branding colours well displayed, and with a great pre-segmentation of all MLS® listings on the homepage for better performance on search engines – see for yourself! 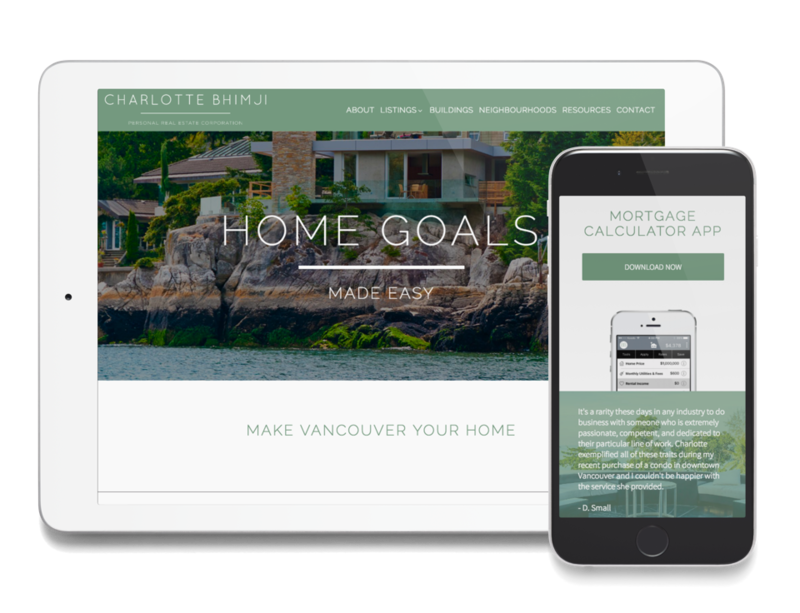 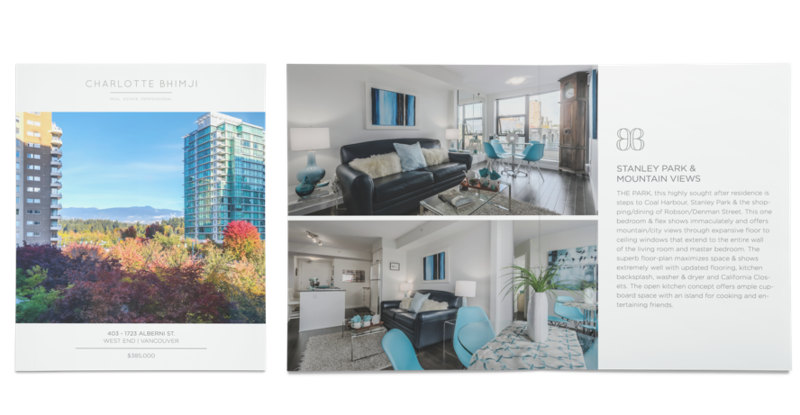 Whether you want prices of Downtown Vancouver condos, penthouses & townhomes, or Westside detached houses, Charlotte has you covered. 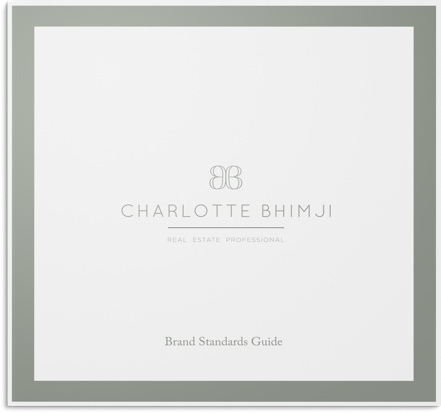 The great looking brand was utilized further for all manners of print media – starting with basic stationery such as her email signature and business cards, to holiday/thank you cards and real estate market update mailers. 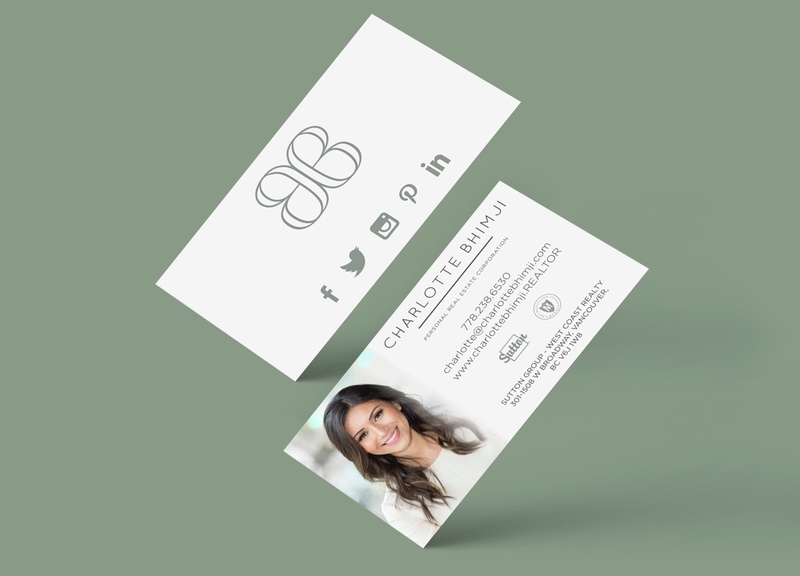 Our design team produced further media for her social media campaigns on Facebook & Instagram. 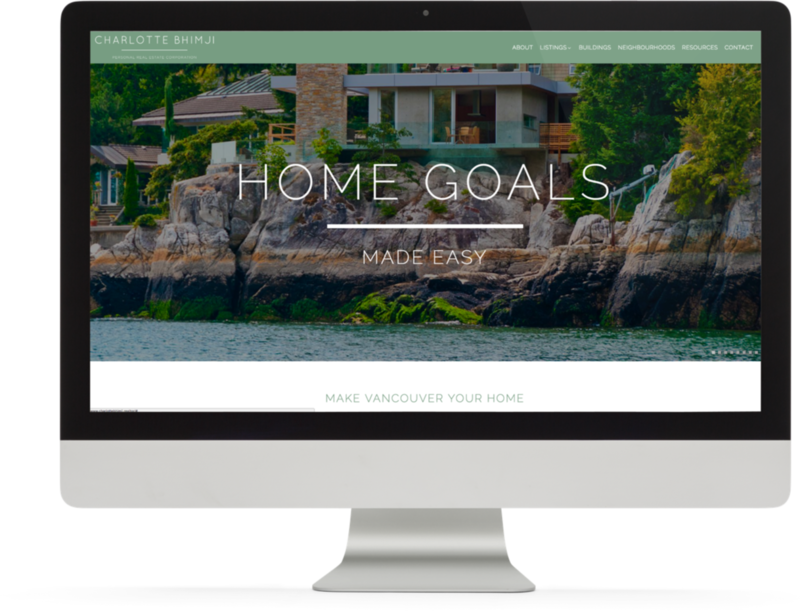 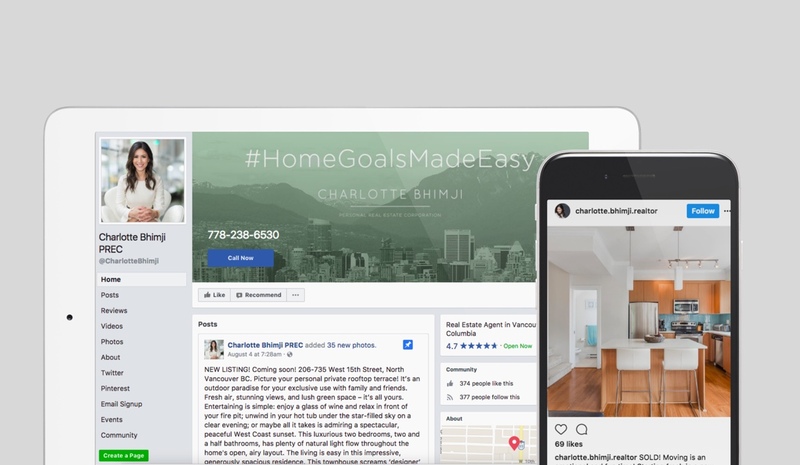 From promoting real estate listings, as well as showcasing featured client testimonials, as well as celebrating all major and minor holidays, we helped her cover it all for a truly multi-faceted branding campaign.